How to Unlock Nokia Locked Device? 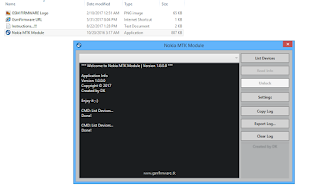 Extract the "Nokia MTK Unlock Module V1.0 (2017)" Tool Compressed File Using WinRAR. 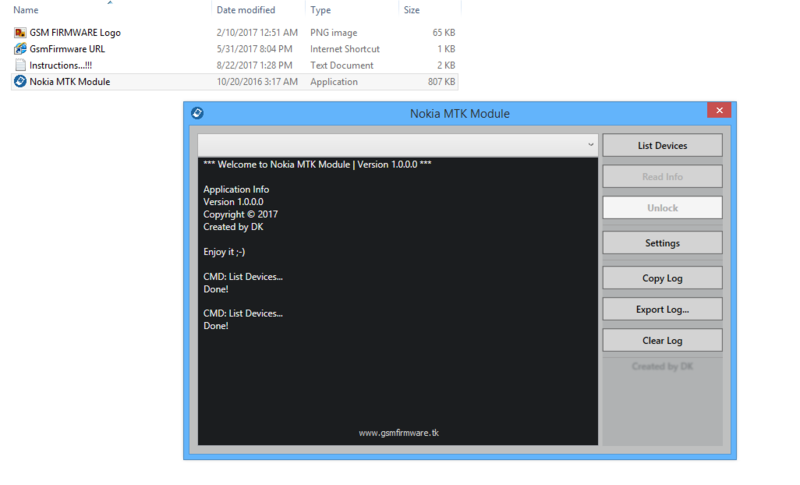 Run "Nokia MTK Module.exe" Main Setup File. Click on "Settings" Button and Install or Uninstall Drivers If Needed. 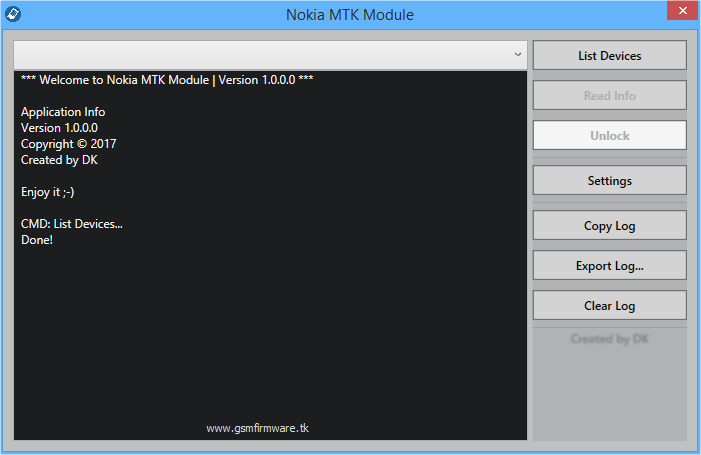 After Install Nokia MTK USB Driver, Click on "List Devices" and Then "Read Info" Button to Be Sure Phone Detected.